A mountain range in the north of the Czech Republic, boasting its highest peak. Fine walking. 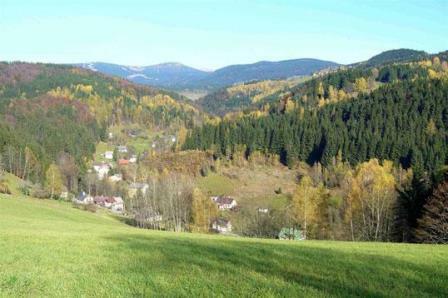 "A trail in the borderland of Poland and the Czech Republic, among which the ski-resorts of Pec and Spindleruv-Mlyn (spinning wheel). On foot a great area to discover. 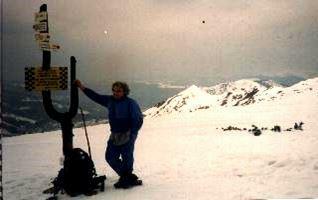 Highest place: the Snezka mountain (1602 m.), at Easter complete in the snow and high winds and with difficulties in finding the paths and marks! But: there is a post-office! So, bring a compass and wear suitable clothes and shoes! In the valleys green spring begins." THANK YOU ORANGINAS! See their full thoughts on their site. They have some great recommendations for accommodation, maps, etc. This page is at an early stage of development. Please help us by making suggestions and sending photos! Thank you!